The 2016 Chevy Camaro will weigh in at 200 pounds lighter than the fifth-generation model, which will put curb weight for the SS versions at about 3,700 pounds and LS and LT models at about 3,500 pounds. 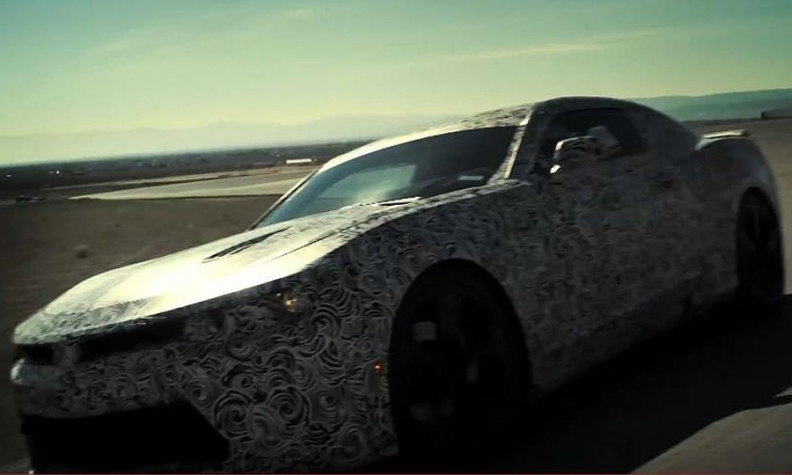 The Camaro team was challenged to improve handling, acceleration and fuel economy for the redesigned 2016 car. That’s a tall order, unless you consider the easiest solution (at least theoretically): reducing mass. The 2016 Chevrolet Camaro features an aluminum beam to support the instrument panel, which is 9.7 lbs. (4.4 kg) lighter than the previous steel beam. Changes like this help reduce total curb weight for the new Camaro by more than 200 pounds. The new vehicle architecture -- the so-called GM Alpha platform shared with the rear-wheel drive Cadillac ATS and CTS -- is responsible for most of the weight loss, but dozens of smaller changes contributed. The big Camaro reveal is on Saturday, May 16 at a special event at Belle Isle in Detroit. Watch it live at thecamarosix.com.